With hundreds of pieces our gallery at any one time (and sizeable personal collections in our homes), jewellery storage is something we know a lot about! Here are our expert tips on storing your precious pieces. Precious metals and gems – even diamonds – aren’t indestructible. There are several materials that are much harder than them, such as stainless steel, concrete and stone. Contact with these types of materials will cause scratches, dents and other damage to your pieces. They can also be scratched by rubbing against other pieces of jewellery. So the best idea is to store each of your precious pieces separately, in a box lined with soft material. The best container is the box your e.g.etal piece came in (we designed our boxes to stack and open like tiny drawers). For larger pieces, a velvet-lined tray in a secure drawer or large box is ideal. 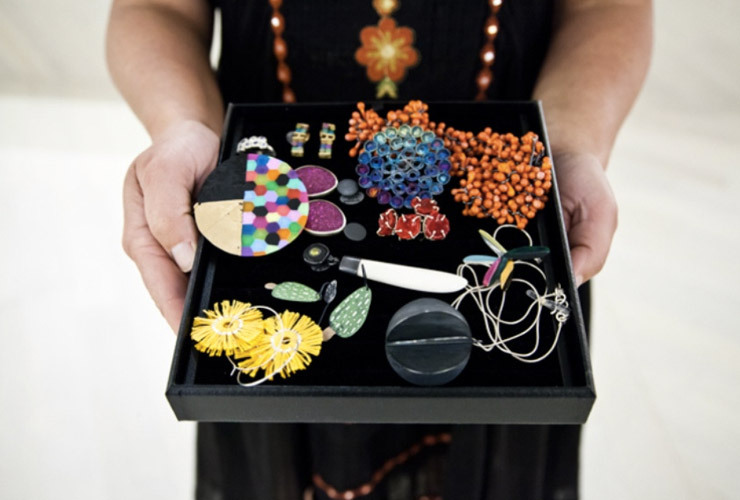 Lay your chains, beads or pendants flat on a tray rather than coiled in a box. You can avoid tangles by pinning necklaces down. Pinterest has fuelled a trend for hanging necklaces on hooks – but remember that neckpieces strung on silk or cord shouldn’t be hung, as they’ll stretch. You should have corded necklaces checked anually and re-strung as needed. 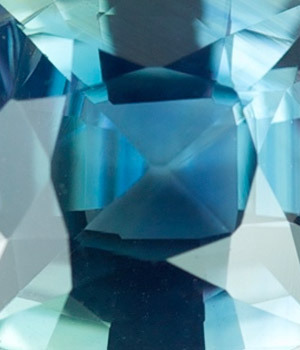 All gems need to be treated with common sense and care, but some stones require a little special treatment. Opals, for example, can either be solid, or made of several layers glued together (called doublets or triplets). Solid opals can crack if they become very dry or are exposed to rapid temperature changes. Whereas doublets or triplets must not be exposed to water or high humidity, as the water can seep between the layers. Pearls are very soft and can be scratched easily. So make sure they’re extra well padded when being stored. They can also be discoloured and have their natural lustre spoiled by chemicals and perfumes. 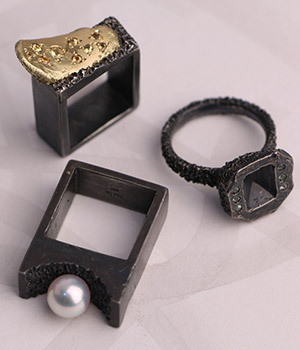 If you’re an avid contemporary jewellery collector, it’s likely your collection contains some unusual pieces made of paper or brass, plastic or aluminium. Treat your piece as you would a small sculpture. This means storing it in low humidity, away from direct sunlight, protected from contact damage. Just as you service your car, you should have your rings regularly checked by a jeweller – we suggest every 6–12 months. The settings around the stones are generally the most vulnerable part of a ring. It is not unusual for stones to become loose in their settings, depending on how the rings are worn. If you are not used to wearing precious rings this can happen without you noticing, but it is definitely something you need to be aware of. Precious metals by their very nature are alloys that have the capacity for malleability. This is not to say your rings cannot be worn everyday. However it is a reminder that they are made of precious metal and precious stones and need to be treated accordingly. Having the settings checked at regular intervals is highly recommended. As you build your collection, we recommend keeping an inventory. Include details of the jewellery artist, the materials, the name of the piece, the date purchased, the value and a photo. This can be a real labour of love – there’s huge personal joy in tracing your collection as it grows. It’s also an invaluable reference for lost or stolen jewellery. Depending on the value of your pieces, you might want to invest in a home safe. Check the fine print of your insurance policy – it might be a condition of your policy that the item is stored in a safe when not being worn. For more tips on jewellery storage or for advice on caring for a particular e.g.etal piece, contact us.